Whether CaCO3 dissolves within the top centimeters of marine sediments overlaid by deep, supersaturated bottom waters remains an area of debate in geochemistry. This uncertainty stems from the fact that different methods used to assess CaCO3 dissolution rates often provide what appear to be profoundly different results. Here we combine microelectrode and porewater chemistry profiles, core incubation experiments, mineral characterizations and observations of the state of preservation of coccolithophorid exoskeletons for a holistic view of carbonate reactions within the top 30 centimeters of hemipelagic sediments from the Gulf of Aqaba, Red Sea. Calculations based on pH and O2 microelectrode data suggest that rapid metabolic dissolution of carbonate minerals occurs in these sediments within the top two millimeters. Porewater chemistry supports these calculations. The porewater-based observations are further supported by sedimentological characteristics such as aragonite content, and dissolution pitting and fragmentation of coccoliths in sediment layers deposited over the last 200 y. Dissolution appears to be occurring today within surface sediments despite the bulk porewater solution being supersaturated with respect to aragonite and Mg-calcite. In spite of intense dissolution within the sediments, there is no evidence for significant alkalinity and/or calcium fluxes (transport) into bottom waters. It appears that the supersaturated bottom water promotes the removal of all excess alkalinity and calcium produced within the sediment, by CaCO3 precipitation at or above the sediment/ bottom water interface. The precipitation mechanism may be by either benthic organisms (biogenic precipitation) or inorganically (direct precipitation on settling CaCO3 grains). We suggest that authigenic precipitation of (Ca,Mn)CO3 as it becomes supersaturated below 3 cm in the sediments can reconcile the evidence for carbonate dissolution in what appears to be supersaturated conditions. This means that MnCO3 replaces CaCO3 within the nanofossils below ∼3 cm, and that part of the manganese rich CaCO3 is bioturbated upwards into undersaturated conditions, facilitating dissolution of these fossils. Diminished calcite and aragonite concentrations in sediments deposited in recent decades are proposed to be a result of increased manganese cycling rates and greater rates of coupled dissolution within the interfacial sediments, possibly combined with diminished calcareous plankton productivity, in response to increased surface water primary productivity. Coral reefs in the Red Sea belong to the most diverse and productive reef ecosystems worldwide, although they are exposed to strong seasonal variability, high temperature, and high salinity. These factors are considered stressful for coral reef biota and challenge reef growth in other oceans, but coral reefs in the Red Sea thrive despite these challenges. In the central Red Sea high temperatures, high salinities, and low dissolved oxygen on the one hand reflect conditions that are predicted for ‘future oceans’ under global warming. On the other hand, alkalinity and other carbonate chemistry parameters are considered favourable for coral growth. In coral reefs of the central Red Sea, temperature and salinity follow a seasonal cycle, while chlorophyll and inorganic nutrients mostly vary spatially, and dissolved oxygen and pH fluctuate on the scale of hours to days. Within these strong environmental gradients micro- and macroscopic reef communities are dynamic and demonstrate plasticity and acclimatisation potential. Epilithic biofilm communities of bacteria and algae, crucial for the recruitment of reef-builders, undergo seasonal community shifts that are mainly driven by changes in temperature, salinity, and dissolved oxygen. These variables are predicted to change with the progression of global environmental change and suggest an immediate effect of climate change on the microbial community composition of biofilms. Corals are so-called holobionts and associate with a variety of microbial organisms that fulfill important functions in coral health and productivity. For instance, coral-associated bacterial communities are more specific and less diverse than those of marine biofilms, and in many coral species in the central Red Sea they are dominated by bacteria from the genus Endozoicomonas. Generally, coral microbiomes align with ecological differences between reef sites. They are similar at sites where these corals are abundant and successful. Coral microbiomes reveal a measurable footprint of anthropogenic influence at polluted sites. Coral-associated communities of endosymbiotic dinoflagellates in central Red Sea corals are dominated by Symbiodinium from clade C. Some corals harbour the same specific symbiont with a high physiological plasticity throughout their distribution range, while others maintain a more flexible association with varying symbionts of high physiological specificity over depths, seasons, or reef locations. The coral-Symbiodinium endosymbiosis drives calcification of the coral skeleton, which is a key process that provides maintenance and formation of the reef framework. Calcification rates and reef growth are not higher than in other coral reef regions, despite the beneficial carbonate chemistry in the central Red Sea. This may be related to the comparatively high temperatures, as indicated by reduced summer calcification and long-term slowing of growth rates that correlate with ocean warming trends. Indeed, thermal limits of abundant coral species in the central Red Sea may have been exceeded, as evidenced by repeated mass bleaching events during previous years. Recent comprehensive baseline data from central Red Sea reefs allow for insight into coral reef functioning and for quantification of the impacts of environmental change in the region. Seawater samples from different depths of eight stations along the Red Sea coast of Yemen were collected during early winter for the determinations of the temperature, salinity, pH value and total alkalinity profiles. The seawater surface temperature at 100 m) it ranged from 21.7 to 22.1 °C. The salinities were found to range from 36.32 to 37.36‰ at surface seawaters and from 40.27 to 40.35‰ at >100 m depths. The pH ranged from 7.983 to 8.198 at surface seawater and from 7.960 to 8.052 at deeper layers. 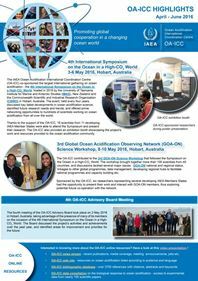 The total alkalinities were found to range from 2.3268 to 3.6159 meq kg−1 at surface layers and from 2.4082 to 2.9659 meq kg−1 in seawater layers deeper than 100 m. The results showed that the surface seawater layers were several-fold supersaturated with respect to both calcite and aragonite, where the percent degree of saturation values ranged from 511 to 852% with respect to calcite and from 340 to 567% with respect to aragonite. At >100 m depth the percent degree of saturation ranged from 327% to 396% and from 221% to 268% with respect to calcite and aragonite, respectively. The results suggest that low magnesian calcite and aragonite are likely the major carbonate solid phases formed under current saturation levels. Recent studies show that the present oceanic pH values may drop by 0.1 and 0.4 units in 50 and 200 years, respectively. Thus, a projected change of −0.1 pH unit decreases the saturation levels to 426–710% for calcite and 283–473% for aragonite in surface waters and to 286–327% for calcite and 196–221% for aragonite at >100 m depth. A drop of −0.4 pH unit decreases the calcite saturation levels of surface and deep waters to 243–406% and 155–189%, respectively, whereas the saturation levels for aragonite reduce by 184–210% for surface waters and 105–120% for deep waters. These drops will affect the morphology and mineralogy of calcium carbon deposits as well as the distribution of calcifying organisms in the region. Further studies are warranted to investigate the occurrence, distribution and mineralogy of corals and the effects of physical and chemical parameters upon their growth in the region. The structural framework provided by corals is crucial for reef ecosystem function and services, but high seawater temperatures can be detrimental to the calcification capacity of reef-building organisms. The Red Sea is very warm, but total alkalinity (TA) is naturally high and beneficial for reef accretion. To date, we know little about how such detrimental and beneficial abiotic factors affect each other and the balance between calcification and erosion on Red Sea coral reefs, i.e., overall reef growth, in this unique ocean basin. To provide estimates of present-day reef growth dynamics in the central Red Sea, we measured two metrics of reef growth, i.e., in situ net-accretion/-erosion rates (Gnet) determined by deployment of limestone blocks and ecosystem-scale carbonate budgets (Gbudget), along a cross-shelf gradient (25km, encompassing nearshore, midshore, and offshore reefs). Along this gradient, we assessed multiple abiotic (i.e., temperature, salinity, diurnal pH fluctuation, inorganic nutrients, and TA) and biotic (i.e., calcifier and epilithic bioeroder communities) variables. Both reef growth metrics revealed similar patterns from nearshore to offshore: net-erosive, neutral, and net-accretion states. The average cross-shelf Gbudget was 0.66kg CaCO3m−2yr−1, with the highest budget of 2.44kg CaCO3m−2yr−1 measured in the offshore reef. These data are comparable to the contemporary Gbudgets from the western Atlantic and Indian oceans, but lie well below optimal reef production (5–10kg CaCO3m−2yr−1) and below maxima recently recorded in remote high coral cover reef sites. However, the erosive forces observed in the Red Sea nearshore reef contributed less than observed elsewhere. A higher TA accompanied reef growth across the shelf gradient, whereas stronger diurnal pH fluctuations were associated with negative carbonate budgets. Noteworthy for this oligotrophic region was the positive effect of phosphate, which is a central micronutrient for reef building corals. While parrotfish contributed substantially to bioerosion, our dataset also highlights coralline algae as important local reef builders. Altogether, our study establishes a baseline for reef growth in the central Red Sea that should be useful in assessing trajectories of reef growth capacity under current and future ocean scenarios. 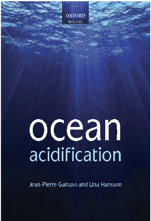 Experimental and field evidence support the assumption that global warming and ocean acidification is decreasing rates of calcification in the oceans. Local measurements of coral growth rates in reefs from various locations have suggested a decline of ~6–10% per decade since the late 1990’s. Here, by measuring open water strontium-to-alkalinity ratios along the Red Sea, we show that the net contribution of hermatypic corals to the CaCO3 budget of the southern and central Red Sea declined by ~100% between 1998 and 2015 and remained low between 2015 and 2018. Measured differences in total alkalinity of the Red Sea surface water indicate a 26 ± 16% decline in total CaCO3 deposition rates along the basin. These findings suggest that coral reefs of the southern Red Sea are under severe stress and demonstrate the strength of geochemical measurements as cost-effective indicators for calcification trends on regional scales.